For thousands of years has been used as a medicine, originating in China, but with time, also used throughout Asia. This beverage has multitude of uses and benefits that you may not have been aware of. Due to its process, green tea has more health benefits attached to it than Black Tea because, black tea processing allows fermentation whereas green tea’s processing avoids the fermentation. As a result, green tea retains more antioxidants and poly-phenols, the substances that make it have many benefits. Weight Loss – Green tea helps increase your metabolism. The polyphenol found in green tea intensifies levels of fat oxidation and the rate each body turns food into calories. Diabetes – Apparently green tea helps regulate glucose levels slowing the sugar rate after eating. This helps prevent spikes of insulin, which usually result into fat storage. 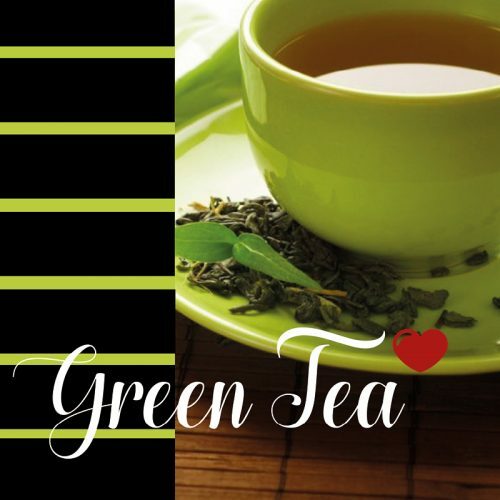 Heart Disease – According to scientists, green tea works on the blood vessels lining, keeping them relaxed and able to withstand changes in blood pressure. It is said to protect against the formation of clots, being these the primary cause of heart attacks. Cholesterol – Green tea helps you reduce bad cholesterol in the blood and improves the ratio of good cholesterol keeping you blood vessels clean and with this preventing other diseases. Tooth Decay – Recent studies suggest that the chemical antioxidant “catechin” in tea can help you fight bacteria and viruses that cause throat infections, dental caries and other dental conditions. Depression – Theanine is an amino acid naturally found in tea leaves. This substance is thought to provide a relaxing and tranquilizing effect which will help you fight depression. Anti-viral and Anti-bacterial – The antioxidant called “catechin” works as a strong antibacterial and antiviral agent which makes it effective for almost everything, from a small cold to cancer. Skincare – Green tea also helps with wrinkles and the signs of aging because it contains high levels of antioxidants and anti-inflammatory activities. Studies demonstrated that green tea can help reducing sun damage. However, it should always be used carefully, especially when hepatic failure is present. Even though tea may be good for you, it still contains caffeine, which should be avoided during pregnancy or may become pregnant.